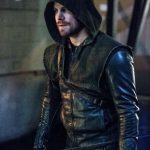 Dans le trailer du 5×12 de Arrow, on nous promet un retour fracassant d’Oliver en Russie et les photos en dévoilent un tout petit peu, même si on retrouve surtout des photos à Star City. 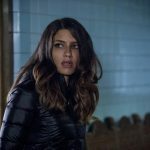 Dans la galerie de photos de l’épisode qui sera diffusé ce soir sur la CW, on retrouve notamment les femmes de l’entourage d’Oliver avec Talia al Ghul, Tina Boland (la nouvelle Black Canary ? ), mais également Susan Williams et sans oublier Felicity. Je vous propose donc sans plus attendre de découvrir les photos promos du 5×12 qui sera logiquement intitulé « Bratva ». Arrow — « Bratva » — Image AR512a_0208b.jpg — Pictured: Carly Pope as Susan Williams — Photo: Cate Cameron/The CW — ÃÂ© 2017 The CW Network, LLC. All Rights Reserved. Arrow — « Bratva » — Image AR512a_0241b.jpg — Pictured: Emily Bett Rickards as Felicity Smoak — Photo: Cate Cameron/The CW — ÃÂ© 2017 The CW Network, LLC. All Rights Reserved. 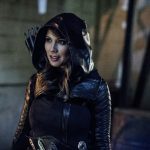 Arrow — « Bratva » — Image AR512b_0051b.jpg — Pictured: Juliana Harkavy as Tina Boland — Photo: Cate Cameron/The CW — ÃÂ© 2017 The CW Network, LLC. All Rights Reserved. Arrow — « Bratva » — Image AR512b_0223b.jpg — Pictured: Lexa Doig as Talia Al-Ghul– Photo: Cate Cameron/The CW — ÃÂ© 2017 The CW Network, LLC. All Rights Reserved. Arrow — « Bratva » — Image AR512a_0212b.jpg — Pictured (L-R): Stephen Amell as Oliver Queen, David Ramsey as John Diggle, and Emily Bett Rickards as Felicity Smoak — Photo: Cate Cameron/The CW — ÃÂ© 2017 The CW Network, LLC. All Rights Reserved. Arrow — « Bratva » — Image AR512a_0209b.jpg — Pictured: Emily Bett Rickards as Felicity Smoak — Photo: Cate Cameron/The CW — ÃÂ© 2017 The CW Network, LLC. All Rights Reserved. Arrow — « Bratva » — Image AR512b_0207b.jpg — Pictured: Stephen Amell as Oliver Queen/The Green Arrow — Photo: Cate Cameron/The CW — ÃÂ© 2017 The CW Network, LLC. All Rights Reserved. 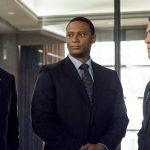 Arrow — « Bratva » — Image AR512a_0184b.jpg — Pictured (L-R): Stephen Amell as Oliver Queen, David Ramsey as John Diggle, and Josh Segarra as Adrian Chase — Photo: Cate Cameron/The CW — ÃÂ© 2017 The CW Network, LLC. All Rights Reserved. 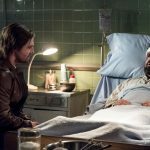 Arrow — « Bratva » — Image AR512b_0005b.jpg — Pictured (L-R): Stephen Amell as Oliver Queen and David Nyki as Anatoly Knyazev — Photo: Cate Cameron/The CW — ÃÂ© 2017 The CW Network, LLC. All Rights Reserved. 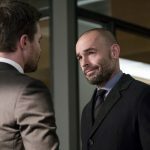 Arrow — « Bratva » — Image AR512a_0079b.jpg — Pictured (L-R): Stephen Amell as Oliver Queen and Paul Blackthorne as Quentin Lance — Photo: Cate Cameron/The CW — ÃÂ© 2017 The CW Network, LLC. All Rights Reserved. 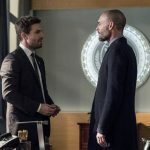 Arrow — « Bratva » — Image AR512a_0016b.jpg — Pictured (L-R): Stephen Amell as Oliver Queen and Paul Blackthorne as Quentin Lance — Photo: Cate Cameron/The CW — ÃÂ© 2017 The CW Network, LLC. All Rights Reserved. 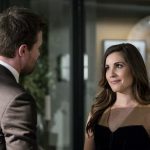 Arrow — « Bratva » — Image AR512a_0053b.jpg — Pictured (L-R): Stephen Amell as Oliver Queen and Carly Pope as Susan Williams — Photo: Cate Cameron/The CW — ÃÂ© 2017 The CW Network, LLC. All Rights Reserved. 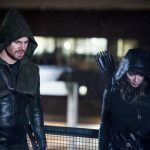 Arrow — « Bratva » — Image AR512b_0251b.jpg — Pictured (L-R): Stephen Amell as Oliver Queen/The Green Arrow and Lexa Doig as Talia Al-Ghul– Photo: Cate Cameron/The CW — ÃÂ© 2017 The CW Network, LLC. All Rights Reserved. 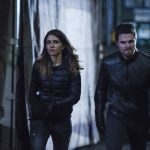 Arrow — « Bratva » — Image AR512b_0067b.jpg — Pictured (L-R): Juliana Harkavy as Tina Boland and Stephen Amell as Oliver Queen/The Green Arrow — Photo: Cate Cameron/The CW — ÃÂ© 2017 The CW Network, LLC. All Rights Reserved. 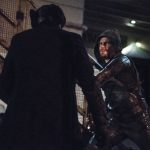 Arrow — « Bratva » — Image AR512b_0177b.jpg — Pictured: Stephen Amell as Oliver Queen/The Green Arrow — Photo: Cate Cameron/The CW — ÃÂ© 2017 The CW Network, LLC. All Rights Reserved.